Is it blending or something else? How can ı get this? 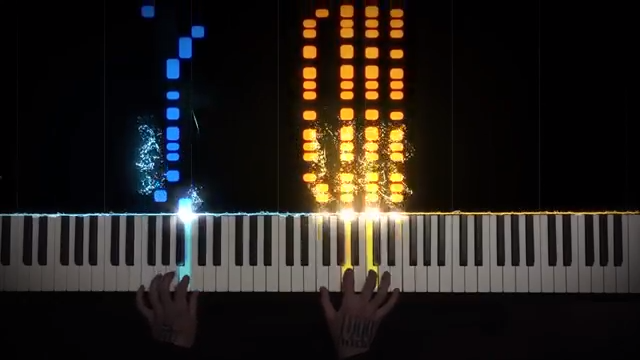 I mean colorful piano keys not particles or light effects. Re: Is it blending or something else? If your clips have no alphas, ya you'll need to use a blend mode or other means to make them. With your "W" footage above the "Q", select the W layer & start playing with the Mode settings. Can't see Mode? Hit the F4 key. I tried all of the blending modes but couldn't managed to place colors under the hands. My footage with colors have alpha. 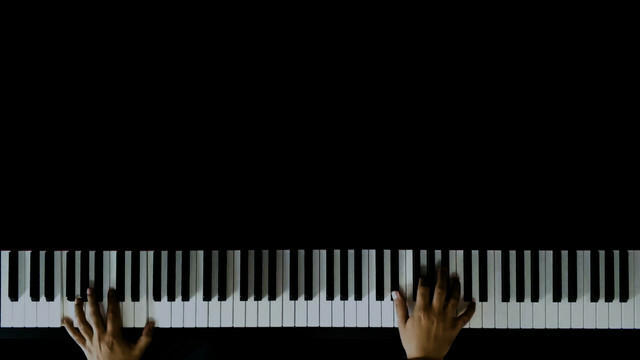 On a duplicated keyboard layer, you'll have to rotoscope the fingers to separate them from the keys. Rotobrush might work well for this unless it's something ludicrous like 3-minutes long. If so, you'll have to split the layer and do rotobrush on each split clip. In other words, there's nothing automatic and it'll be a real job. Hard to tell from that jpeg screen shot, but you may be able to separate the hands for a matte by extracting the saturation channel, since the keyboard is black and white and the hands have color. If the lighting is as bad as it looks in the screenshot with fingertips in the shadow then it might not be possible. I tried rotoscoping and keying black and white. Resuts are realy mess. Keying is better. But it also extracts hands highlights. How can I extract the saturation channel? Is there any clean footage of the keyboard without the hands? You might be able to extract a difference matte if you combine the clean footage (or even one frame) with the footage of the keyboard with the hands. Or combine our last two posts: Grab frames that have hands off the keyboard in certain areas (if there isn't one clean frame) then stack these up in Pshop and reveal-paint the layers so that you erase (or mask) the spots with hands. A clean keyboard will emerge. Flatten and use that as your difference matte in AE. 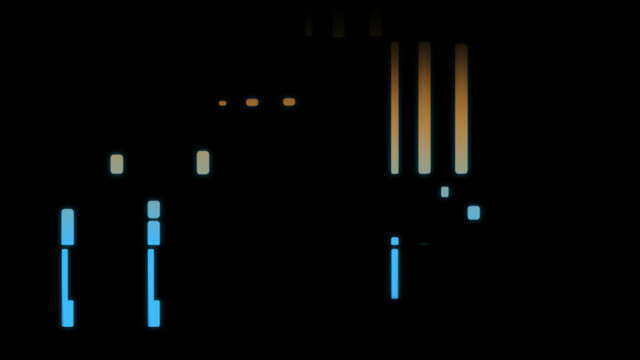 You can also do this in AE. There is a clone stamp you can use "in time" so that you are revealing parts of a frame that is further along the clip to the one you are on. But that means AE is having to calculate this for every frame. It will be simpler in Pshop. Some parts are hands off in the footoge. Freezed time at that area and used the difference matte key in duplicated layer. Result is disappointing. I think it is because of hands shadows. The best result was with the linear color key using chorama with white color. But still messy.